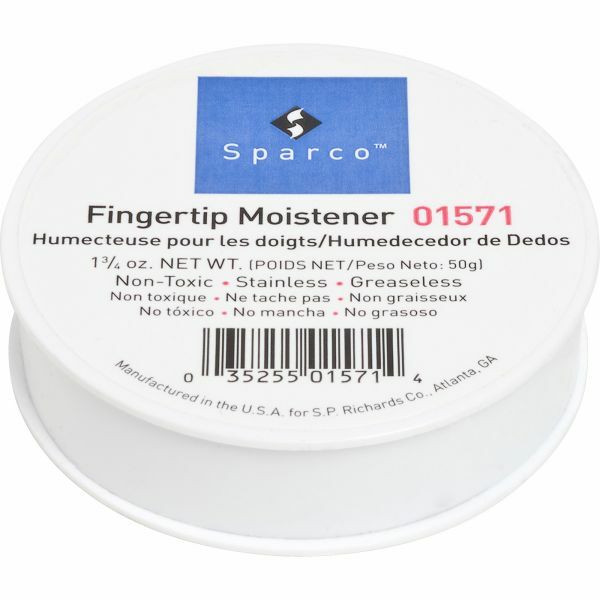 Sparco 1 3/4 Ounce Fingertip Moistener - Fingertip moistener is made with safe, natural glycerin to provide just enough moisture for a positive grip. Hygienic, odorless, greaseless moistener will not stain paper or clothes. Fingertip moistener has nonskid back.